Last spring I wanted to make it a priority to get our budget in gear and stop spending carelessly. I created a little challenge, called Live Your Best Life (for Less) with daily prompts to help foster creativity and contentment. 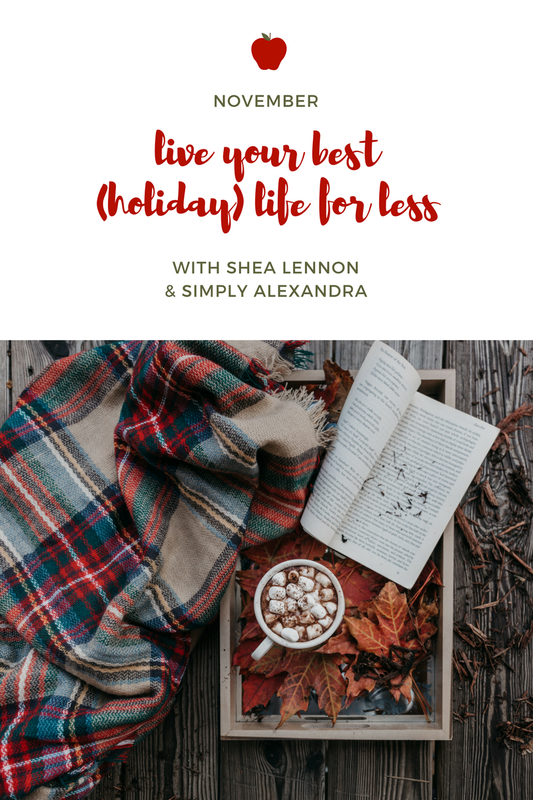 When I met up with Alexandra, of Simply Alexandra, in July, we talked a little bit about that challenge, and she mentioned the idea of trying to do something similar for the holidays. I thought that was a great idea, because if there's any time I need more motivation to stick with my budget it's the holiday season! She also wanted to incorporate ideas that would help minimize the stress that inevitably accompanies this time of year. 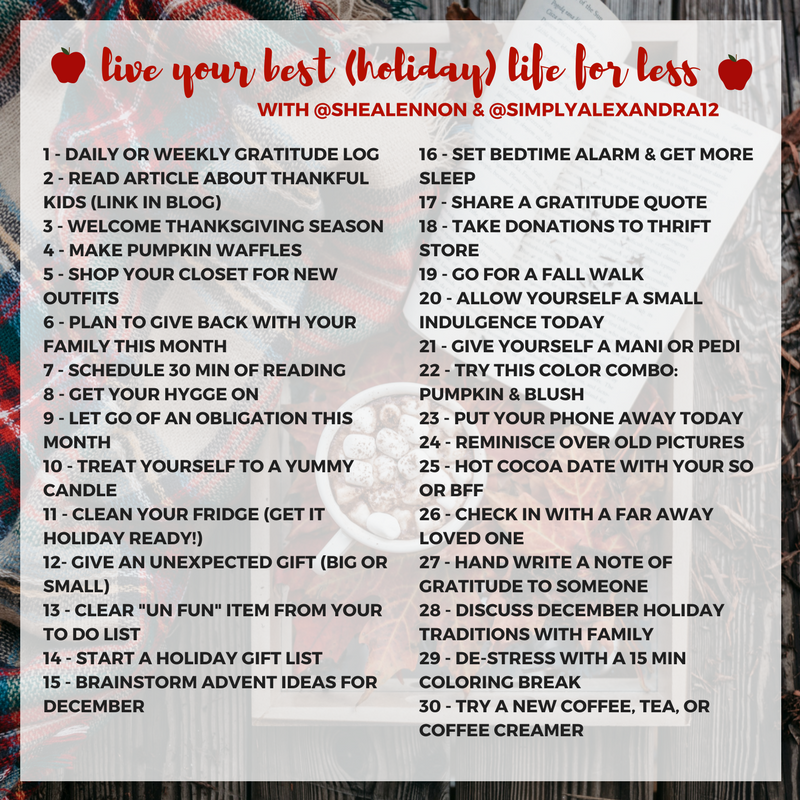 Together, Alexandra and I came up with a challenge for November, called "Live Your Best (Holiday) Life" (#LYBHolidayL). Each day in November, we have ideas to help you stay organized, spend quality time with loved ones, practice self-care, and stick to that budget. Our goal is to help you feel more calm and peaceful during this hectic time of year, and also focus on gratitude and giving back. We would love for you to join us for any or all of these ideas. Each Monday on our blogs, we will talk about the prompts for the coming week, and go into more detail about our own plans and ideas. We’ll also share the image below on Instagram so be sure to follow along there as well (@shealennon and @simplyalexandra12). Come join the fun, and be sure to tag Alexandra and me and use the hashtag #LYBHolidayL. Join us in making November a great (and less stressful) one! Be sure to follow along on Alexandra's blog as well. Such a fantastic idea shea!